El Carmolí Murcia is beautiful and has lots of guest houses. Ofcourse we are only looking for the best guest houses in El Carmolí Murcia. It’s important to compare them because there are so many places to stay in El Carmolí Murcia. You’re probably wondering where to stay in El Carmolí Murcia. To see which guest house sounds better than the other, we created a top 8 list. The list will make it a lot easier for you to make a great decision. We know you only want the best guest house and preferably something with a reasonable price. Our list contains 8 guest houses of which we think are the best guest houses in El Carmolí Murcia right now. Still, some of you are more interested in the most popular guest houses in El Carmolí Murcia with the best reviews, and that’s completely normal! You can check out the link below. Skip to the most popular guest houses in El Carmolí Murcia. BALNEARIO LA ENCARNACIÓN provides rooms in Los Alcázares. Featuring a 24-hour front desk, this property also provides guests with a restaurant. The guesthouse has a garden and has a terrace.The rooms in the guesthouse are equipped with a flat-screen TV. With a private bathroom, rooms at BALNEARIO LA ENCARNACIÓN also feature free WiFi, while some rooms are equipped with a balcony.Guests at the accommodation can enjoy a continental breakfast.Torrevieja is 24 miles from BALNEARIO LA ENCARNACIÓN, while Cartagena is 13 miles from the property. Region de Murcia International Airport is 20 miles away. The location and history and quaintness of the hotel is excellent. Great spirit of the staff and the lovely building provide a special atmosphere, restaurant and breakfast is recommended! Friendly staff and a gorgeous room. Came here for coffee a few months ago and immediately wanted to come again and try out the rooms. Glad I did. 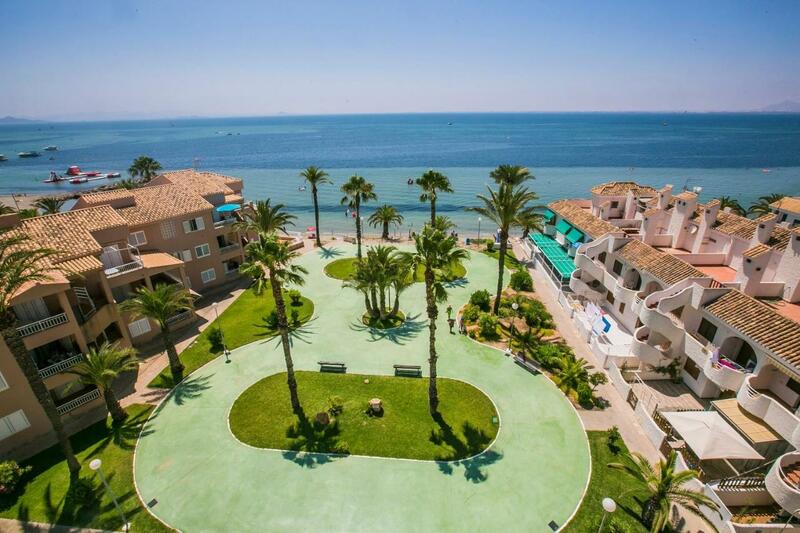 Set 800 feet from the beach, on Mar Menor Lagoon, the family-run Pensión El Cordobés offers a terrace and free Wi-Fi. 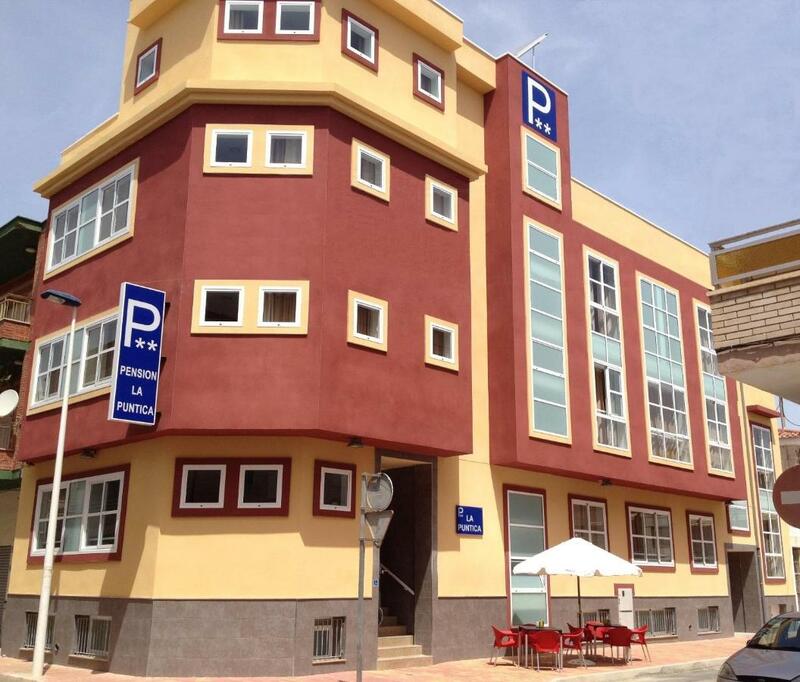 It is centrally located next to the Town Hall in Los Alcázares.All air-conditioned rooms feature a balcony and are also heated. There is a flat-screen TV, desk and wardrobe. The private bathroom comes with free toiletries.A laundry and ironing service is available. 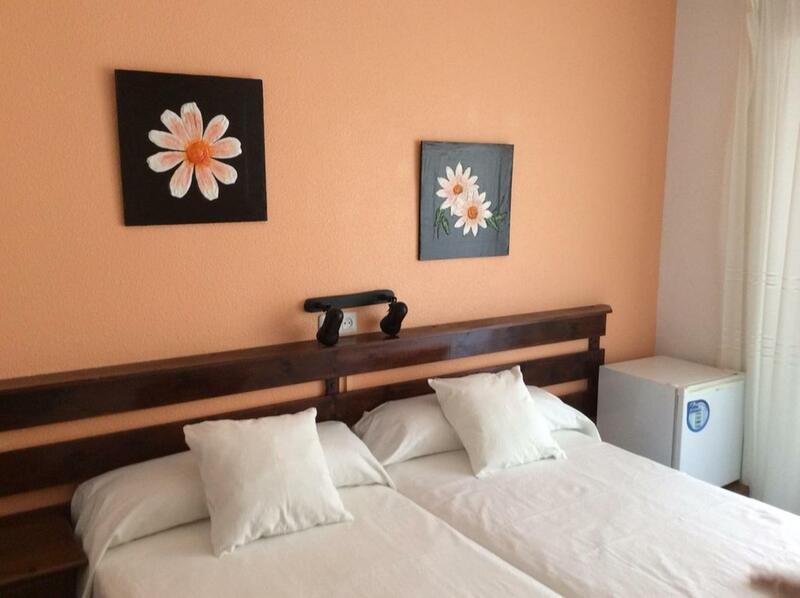 Rooms adapted for disabled people are available at Pensión El Cordobés. There is a tour desk and luggage storage is offered. Murcia-San Javier Airport is a 10-minute drive away. Very clean ,nice size room with comfy bed..Good variety of toiletries which were refreshed every day..Fridge in room and there is a shared lounge room with a TV and toilet and a microwave. Rooms cleaned every day. Close to town Hall where there are lots of bars and shops just behind it. No breakfast offered. Accommodation was basic, yet comfortable and clean. It was what we expected and for one night it was fine. Everything was super with the hotel offering good value for money. Unfortunately, it is right on the crossroads of two very busy roads; noise at night was not good. Traffic and emptying of bins late at night into the early hours. 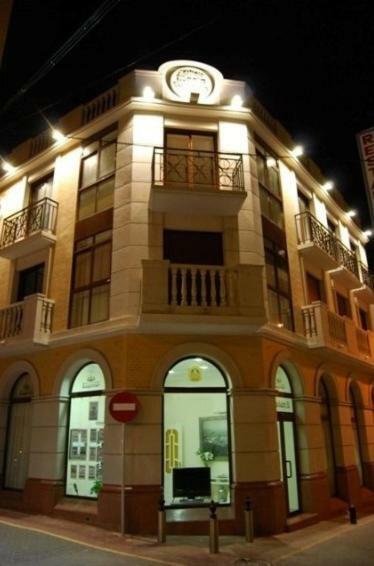 This small guest house is located in the historic center of La Union, in Murcia. All of the air-conditioned rooms have Wi-Fi, and all rooms can be reached by elevator.The air-conditioned rooms in Pension Encarna Vargas have a flat-screen satellite TV and a balcony. They also have 2 armchairs, and a private bathroom.There are shops, cafés and restaurants in the surrounding area.Both Cartagena and the Mar Menor are about 15 minutes’ drive away. Really good size room in a small hotel which is centrally located within the town. Sr Gines is a very good, friendly and helpful host. The facilities are very comfortable and clean. La Union is a few miles from the main tourist areas of Cartagena city and the beach, but otherwise that is no problem if you have a car. Breakfast is not served, but there are lots of eating places with good value for money. Thanks for a very enjoyable stay. Gines, the owner, was great. Helpful very courtious. Google translate used to great effect! The room was lovely and clean, we had no complaints and would definitely use again when going to this area of Spain. This area of Spain was really nice and not far from Cartagena. The hotel owner was really friendly and nothing was a problem for him. Also liked the access to the hotel Wi-Fi. Located 350 feet from the beach in Santiago de la Ribera, Pensión K-Hito is 500 feet from the shops, bars and restaurants in the town center. It offers a 24-hour reception and free Wi-Fi zone.All rooms are air conditioned and heated. They have a TV, fridge and wardrobe. The private bathroom comes with a bath tub and free toiletries. Single rooms overlook an interior patio. Double rooms are street-facing, some with a balcony and some with partial beach views.There is a communal lounge with a sofa and TV. The restaurant offers food in summer, and in winter it is only open for drinks.The K-Hito has a tour desk and is 2.5 mi from San Pedro del Pinatar. San Javier Airport is 1.2 mi away and it is 20 mi to Cartagena. The place is kept spotless. They speak but little English which suited .e fine. The staff were very patient with my fractured Spanish. Very helpful. Quite a lot of Spanish people stay there. lovely air conditioned room with a comfy bed and nice shower over a small bath tub . I never got to stay there as my flight was delayed and arrived at 6am Saturday instead of 2.3O pm in the Friday. So I went straight on to my next destination as check out time was 11am on the Saturday. A nice clean hotel, the people were very friendly, excellent location, and parking, good value for money, I will return for a longer stay but would request a room with balcony and street view. Featuring a garden and a terrace, Las Gondolas Seaview is located in La Manga del Mar Menor and is 2.9 miles from Puerto deportivo Tomas Maestre. 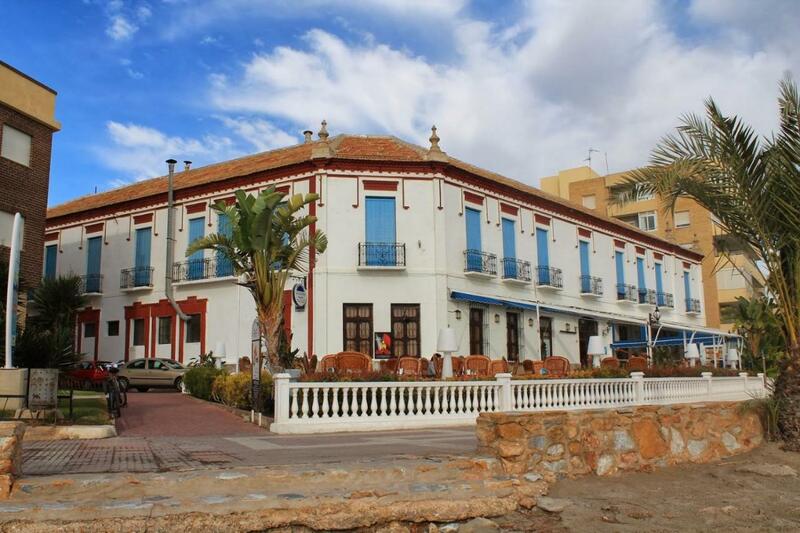 Located around 8 miles from Mar Menor, the guesthouse with free WiFi is also 12 miles away from Faro de Cabo de Palos. The restaurant serves Mediterranean cuisine.All rooms in the guesthouse are equipped with a coffee machine. All rooms include air conditioning and a flat-screen TV, and certain rooms at Las Gondolas Seaview have a sea view. At the accommodation, every room is equipped with a seating area.Guests at Las Gondolas Seaview will be able to enjoy activities in and around La Manga del Mar Menor, like cycling.The nearest airport is Region de Murcia International Airport, 43 miles from the guesthouse. La Manga Rooms in Cabo de Palos center, 350 feet from the Marina, has a seasonal outdoor swimming pool and a tennis court. Facilities include a sun terrace and free WiFi is available throughout the property.At the guest house, the rooms are equipped with a wardrobe, a TV and a shared bathroom. The rooms are fitted with a seating area.Cartagena is 16 mi away. The nearest airport is Murcia-San Javier Airport, 11 mi from the property. No me gustó el establecimiento en general. No lo recomiendo para nada. Nosotras elegimos el sitio porque era algo funcional como parada de medio camino. No esperábamos gran cosa pero tampoco lo que nos encontramos. Personalmente creo que el lugar no debería estar como opción dentro de los alojamientos de Booking. In the center of Cartagena, this guesthouse offers air-conditioned rooms with views of the ruins of El Molinete. 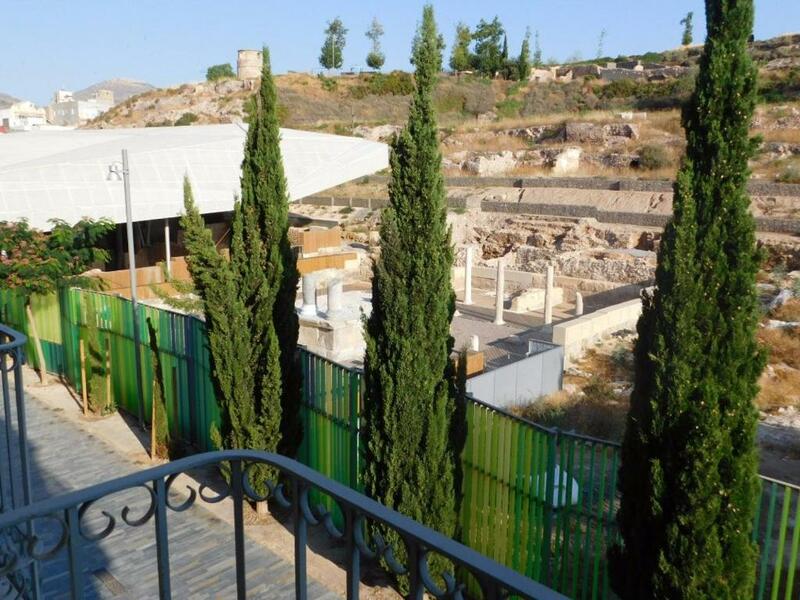 The Roman Theatre of Carthago is just a 5 minute walk away.All the rooms at Pensión Balcones Azules feature tile floors, air conditioning and heating. They come with a TV, telephone and wired internet. The private bathroom has a bathtub or shower.La Manga del Mar Menor, including Playa Honda and La Gola Beach, is about a 30 minute drive away. The wild beach of El Portús is just 7.5 miles away.Pensión Balcones Azules has a 24-hour front desk. Cartagena bus station is a 10 minute walk away. Location was great. Our room overlooked the ruins of the Forum and was around the corner from Plaza San Francisco. It was easy to walk to many other interesting parts of the city. Room was very clean. The accommodation was perfectly situated for our visit. The staff very helpful. The linen was beautifully clean and fresh. One receptionist in the Hotel spoke very good English. No food in the Hotel was sampled and the Cafe/Bar was closed. Great location, we enjoyed our stay, friendly staff, nice rooms everything we wanted. Friendly English speaking staff. Great central location in a quiet pedestrian street. Nice outlook over the Roman forum. Plenty of bars and restaurants within a minutes walk. Just 50 feet from the beach in Lo Pagán, Pensión La Puntica offers rooms with flat-screen TVs. This guest house features a 24-hour front desk, a snack bar and a terrace.The simply decorated rooms at Pensión La Puntica have a fridge, air conditioning, heating and a private bathroom. Most rooms offer sea views and one is interior facing.A restaurant run by the Puntica’s owners is located just 650 feet away. Cafés and bars can be found along the seafront.The Mar Menor provides an ideal setting for fishing, diving and surfing. San Pedro del Pinatar Park and its salt marshes are within 1.2 mi of the guest house.Murcia-San Javier Airport can be reached in just 10 minutes by car. The couple that runs the Place was very Sweet and the location very good. The bathroom was nice and clean. Sandy beach with shallow water. Daily beach cleaning. The rooms are very small but clean. The shower is also super small but it didn’t bother us too much. The bed is very comfortable. The staff is very helpful and friendly. The guy from the front desk gave us a map and a little guidebook and helped us with the bus schedules so we could visit some other places around that area. The hotel is only 15 minutes away from the airport (a taxi is about 15-20€). This hotel is best if you like to be outside all the time and only come back for sleep. There is a supermarket around the corner and lots of restaurants along the promenade. The gently shelving sandy beach (safe for kids and non-swimmers) is only 1 minute away. The beach wasn’t too crowded and the visitors were mainly elders or families. The Mar Menor natural mud bath can be found in only a few walking minutes along the promenade. location to beach but if you want a proper sea experence you need to travel about 3 miles. The Mar Menor is a inland sea very warm but very shallow, great for families with younger children. pension very good mix of people mainly spanish great for helping with the langauge. The above is a top selection of the best guest houses to stay in El Carmolí Murcia to help you with your search. We know it’s not that easy to find the best guest house because there are just so many places to stay in El Carmolí Murcia but we hope that the above-mentioned tips have helped you make a good decision. We also hope that you enjoyed our top ten list of the best guest houses in El Carmolí Murcia. And we wish you all the best with your future stay!